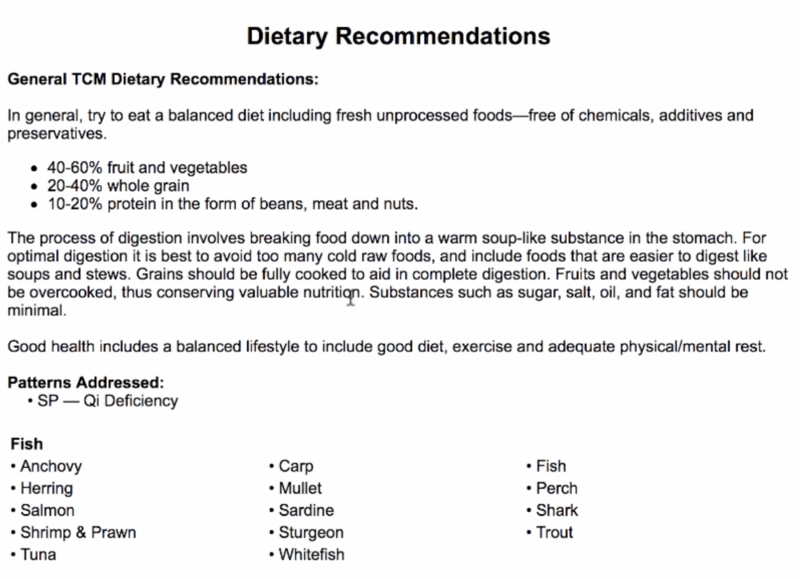 Let’s look at the Food portion of AcuGraph and how you can use the food recommendations in designing your treatment plan. When you look at your patient’s graph you can click on the Food tab and you’ll see a miniature graph in the top left corner. You can click on a channel on that graph thumbnail to reveal a list of TCM Patterns associated with that channel. Select a TCM pattern to reveal the Key Symptoms, Other Possible Symptoms, and a list of foods to be added to the patient’s diet. These Dietary Recommendations include general information and a grocery list to help patients find and add the foods that are most helpful for that pattern. On any graph you are not limited to just one channel. You can select another channel on the thumbnail of the graph to repeat the process, adding more information and food to your recommendation. Print or email this to your patients and their shopping list is all ready to go. Obviously you don’t want to do this for every imbalance you find or you’re going to have a massive shopping list and it doesn’t mean anything. 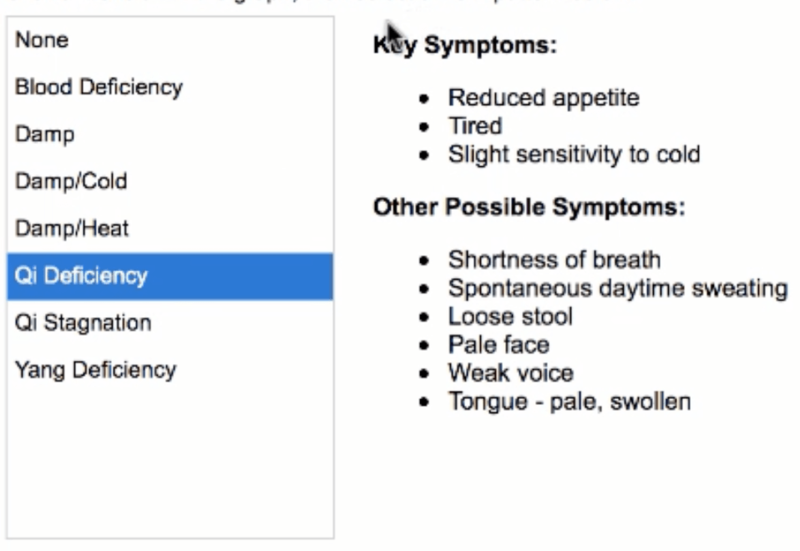 Rather, we recommend you focus on the key pattern or maybe two patterns for the patient. Also, note that when you make a dietary food recommendation, it is added to the Patient File just like any other recommendation. 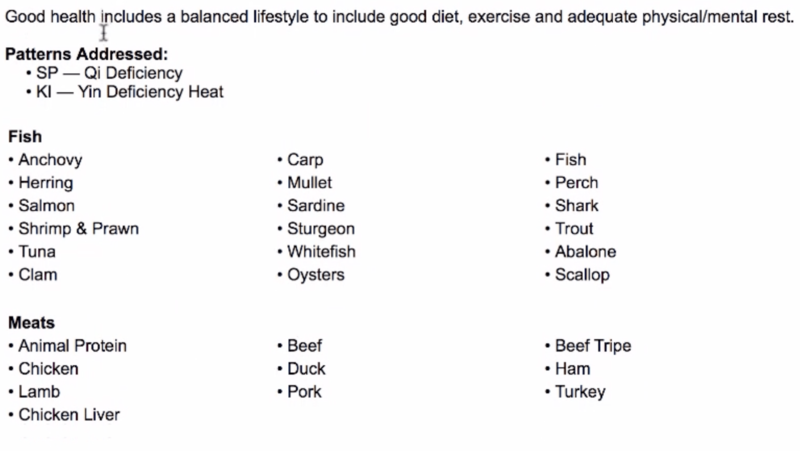 There you have it, that’s how AcuGraph 5 adds a whole new dimension by including foods in the treatment options! Click this link to see the blog post with all the details about that additional training.